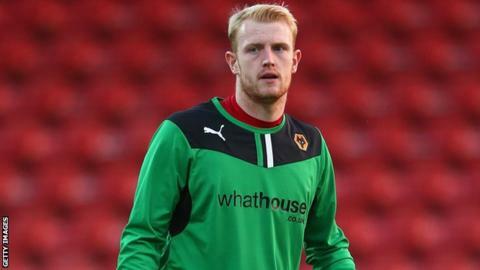 Wolves keeper Aaron McCarey has been given a suspended four-month ban for failing a drugs test, back-dated to his original suspension on 21 April. The ban, suspended for two years, means that the 23-year-old is now free to play for the Championship side. McCarey was banned in April having tested positive for a non-performance enhancing substance. "I can categorically state I genuinely have no idea how the trace of the drug entered my system," he said. "However, there is no disputing the tests which were carried out and I have accepted full responsibility and I apologise. "I intend to learn from this experience and improve myself both as a person and as a professional footballer."